We're very proud to announce that very recently we released our new catalog! Bob, from our Marketing Team spearheaded this project and made sure that it would offer you all the things you'd hope and expect, plus more. 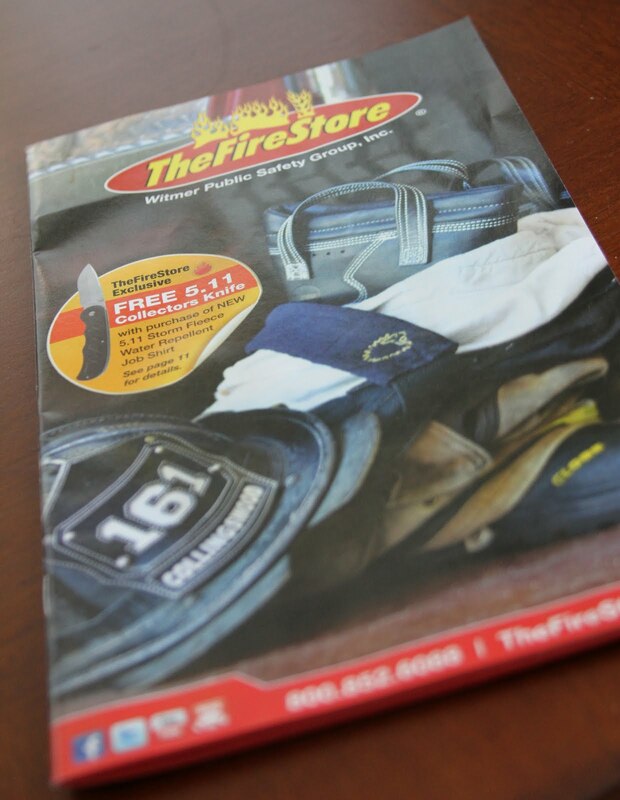 The cover of TheFireStore catalog is an image shot from a local customer of ours, which features real gear that he uses and we sell; from the boots and suspenders, to the helmet and leather front. It turned out great! This time, our catalog is more geared toward the individual...meaning you. We picked around 200 products with a combination of our best sellers and new products that just hit the shelves to create what we hope would be a catalog you'd enjoy paging through. There are a few special catalog-only deals and sales throughout, where we feature a free 5.11 Collectors Knife with the purchase of a NEW 5.11 Storm Fleece Water Repellent Job Shirt. Our catalog also features brand new, just come to market gloves, our customized embroidery, hoods, leather shields and more. We've distributed over 50,000 catalogs by mail so far, and if you haven't received yours but would like one, feel free to give us a call at 1-800-852-6088 to request one. We'll get one into your hands shortly*. So, have you received our catalog yet? What are your thoughts?